Master of Malt Blog - Page 119 of 141 - Master of Malt - online retailer of single malt whisky, blended whisky, bourbon, rum, brandy, vodka, gin and many other fine spirits! So. We launched our Navy Strength Bathtub Gin about a month or so ago, and it’s already doing really rather well. It’s kind of a given that we had to follow this up with a Navy Strength version of the incredibly popular vanilla-and-christmas-spices-laden spiced rum – Rumbullion! It’s almost* like there’s some sort of planning going on. For the Navy Strength version of Rumbullion, we’ve taken the same basic recipe, and simply scaled up the vanilla, sugar and spice content in line with the ABV (ie – it’s not intentionally spicier and punchier, like the Bathtub is). The reason for this is pretty straight-forward – Rumbullion! is already a pretty aggressively spiced little rum as it is, and the Navy Strength version was more than capable of standing up to the initial ABV at the same proportional concentration. 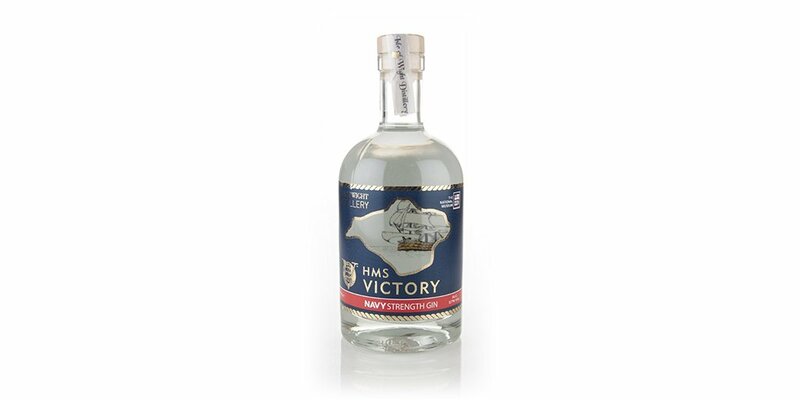 Incidentally – if you’ve not tried the Navy Strength Bathtub Gin yet – it’s sort of like being kicked in the face by a Gin-Soaked Santa Claus. Really quite fantastic, and absolutely laden with Christmas spices – it don’t ‘alf pack a punch. So – a few weeks back you may remember we launched a couple of ‘experimental’ cocktails – the Hanky Panky and the Boulevardier. The good news on this front is that the Hanky Panky has rapidly earned itself a promotion to the exalted ranks of the main series of the Handmade Cocktail company’s core offering, such was its popularity. I’ve just got to do a bit more mucking about with it (I’ve been experimenting with some of the fresh oak barrels we’ve recently acquired, and it takes exceptionally well to a bit of this – so it’s going to get some oak influence methinks) and with any luck it’ll be out before Christmas. Well, it had to happen didn’t it? There were absolutely bound to be some people so warped, so twisted, that the 100,000 Scovilles Naga Chilli Vodka we launched at the beginning of the year wasn’t hot enough for them. Words fail me. Capsaicin (the active compound that provides chillies’ heat) is said to be addictive (it causes the release of dopamine amongst other brain-chemistry-related treats), and this doubtless goes some way towards explaining the mindset of this small but vocal minority of nut-jobs. It’s been a while coming, this one. Since the launch of our original Bathtub Gin almost exactly one year ago, we’ve sold a huge number of bottles worldwide, and it’s fair to say that the critical reception has been pretty darned fantastic. For those of you who are unfamiliar with the concept, Bathtub Gin is a compounded gin made from botanicals, as opposed to essences, meaning that the flavour is derived from soaking the botanicals in the spirit (and not then re-distilling it). As far as we know, this is the only gin in the world to employ this slightly curious method of manufacture – the result of which is a clean, fresh-tasting gin with a very slight natural tint to it. As those of you who’ve tried ‘normal’ Bathtub will know, the image below (of the Navy Strength Gin) is substantially darker in hue, due to its production method. More on this below. I’ve lost count of the number of times I’ve been asked – either by bar owners, or just experiment-loving whisky-geeks – whether we can get hold of little diddy casks for them to mature stuff in. So – ladies and gents – here we are: 4 different cask sizes from 1 litre to 50 litres, all provided with a diddy little bung to go in the top of the cask, and all with a nice little tap from which to dispense your very own cask-aged products. They’re made from 100% Fresh Kentucky Oak, and have been toasted to a medium level (maybe medium-heavy). As with ‘normal’ casks, the ends are un-toasted. In the name of science, I took the hoops off one of the 5 litre ones and bashed it to bits for you to see the way they’re charred for yourselves. Those of you who’ve been paying attention may remember that back in February of this year, we ran a little competition – the purpose of which was to get you lot to guess the ingredients in a yummy new cocktail we’d invented. The winner of this competition then went on to name the cocktail (I won’t reveal it, as it’s going to be launched in full 70cl glory at some time in the next month or so). In order to facilitate this competition, we made samples of the cocktail available in cute little 20cl versions of the standard bottle used for The Handmade Cocktail Company’s wares. The more observant amongst you may remember that the little 20cl bottle was labelled as part of the ‘experimental series’? Well – today we’re revealing the purpose behind that ‘experimental’ moniker. Bowmore is the oldest distillery on Islay and is famous for producing extraordinary bottlings such as the Black Bowmore and the White Bowmore, as well as their better known (and more affordable) Bowmore 12 Year Old and Bowmore 18 Year Old. In addition to these they have also produced the tasty sherry cask Bowmore Darkest and the stormy cask strength bottling of the Bowmore Tempest. This, however, is the Bowmore 1957, which was bottled in 2011 after 54 years of cask ageing. In 1995 a number of casks of Bowmore were bottled, but one cask was kept in the legendary Bowmore No. 1 Vaults, the oldest whisky maturation warehouse on the island. This cask has been monitored every six months until it was deemed to have reached perfection. The bottles have been beautifully hand-blown and sculpted into the shape of the waves that pound the walls of No. 1 Vault by renowned glass artists Brodie Nairn and Nichola Burns. The glass has also been flecked with platinum to create a shimmering sea-like effect.